For those of you who asked, we selected our current chicken breeds (Speckled Sussex, Barred Rock, and Dominique) for quietness, egg productivity, cold hardiness, and being OK with confinement. These chickens will spend the entire winter outdoors in the tractor. I’m not using artificial heat nor lights to increase egg production, so we’ll move from .85 eggs/day/chicken down to .25 eggs/day/chicken in the dark winter months. I know of several other chicken folks in our area who successfully overwinter their chickens outside with no loss of life. The chickens seem to become stronger and do fine. Other breeds that passed the above four qualifications include: Americana, Plymouth Rock, Australorp, Faverolle, Red Star, Black Star, and Wyanlotte. 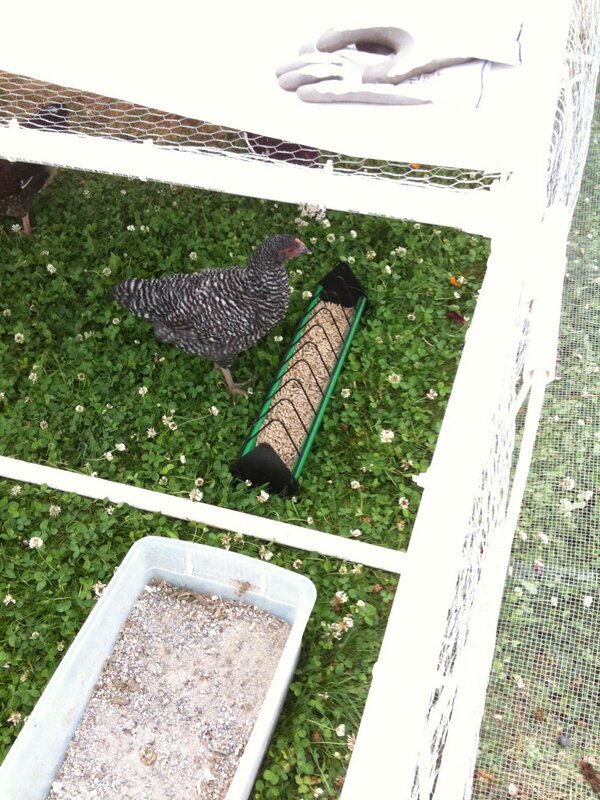 However, I’ve read some conflicting chicken blogs that state Plymouth Rock and Wyanlotte do *not* like confinement. I suspect we can get around this since they get fresh grass and a new view daily. We don’t have a rooster because I value quietness (as do my neighbors) and I don’t want fertilized eggs. We have enough local friends with roosters that we can replicate the flock fairly easily.